Dust Extraction and Air-borne dust removal using Festool and BuildClean Products. One of the biggest complaints we have received is how dusty remodels can be. It is true, when completely removing a portion of the home and re-building it does create dust! In the past we contained the area, but have done little to extract or remove it…..why? This is why Sitka Projects, LLC is proud to announce that we will be implementing dust extraction and air-borne dust removal on all of our projects from now on. This means that power tools such as skill saws, chop saws, table saws, and sanders being used on the job site, in your home or even outside the home will be connected to dust extraction. This will capture 70-90% of the dust created by the use of these tools. That means less dust in your home and less dust to clean up! 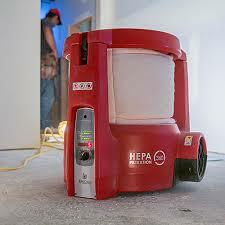 What about the air borne particles that the dust extractor does not pick up? We will contain the work area with plastic walls and create access through a zipper entrance or “zip wall”. Once we have the area contained we will set up a dust collection system that will collect the air in the containment area, filter it, and then the filtered air will either be ducted outside or simply recirculate back into the containment area. Our goal with focusing on dust extraction and air-borne dust removal with-in the home is to create a cleaner and healthier job site for our customers and team. We sincerely care about the environment created during a remodel. Breathing in dust is not healthy and it takes a tremendous amount of time to clean up after a substantial remodel. Please note that capturing 100% of dust on a remodel at this point is un-realistic however with this aggressive step in on-site dust collection we are striking a very heavy blow to dust on our remodels! Don’t hesitate to call or e-mail anytime with questions.